Let the collections at Universo de Memorias Joao Carlos Abreu and Monte Palace Museum capture your imagination. Visiting Ponta de Sao Lourenco and Ilheus da Ribeira da Janela will get you outdoors. Venture out of the city with trips to Porto Moniz Natural Swimming Pools (in Porto Moniz) and Ribeira Brava (Ethnographic Museum & Museu Etnografico Da Madeira). Next up on the itinerary: learn about winemaking at Blandy's Wine Lodge, admire the masterpieces at Design Centre Nini Andrade Silva, see the interesting displays at Madeira Optics Museum, and explore the striking landscape at Cabo Girao. To see ratings, more things to do, other places to visit, and tourist information, refer to the Funchal day trip planning website . Sao Paulo, Brazil to Funchal is an approximately 16.5-hour flight. You can also do a combination of bus and flight. The time zone difference moving from Brasilia Time to Western European Time is 3 hours. Prepare for little chillier weather when traveling from Sao Paulo in January: high temperatures in Funchal hover around 22°C and lows are around 17°C. Finish your sightseeing early on the 2nd (Sat) so you can travel to Beja. Beja is a city and a municipality in the Alentejo region, Portugal. On the 3rd (Sun), examine the collection at Museu do Relogio, examine the collection at Museu Etnografico de Serpa, then admire the masterpieces at Museu Jorge Vieira/Casa Das Artes, then admire the striking features of eco Palacete Palma Borralho Relogio, and finally examine the collection at Nucleo Museologico. To find maps, reviews, where to stay, and other tourist information, use the Beja trip maker website . 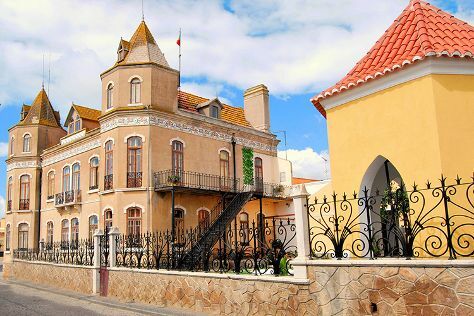 Explore your travel options from Funchal to Beja with the Route module. Expect a bit cooler temperatures when traveling from Funchal in February; daily highs in Beja reach 17°C and lows reach 5°C. Finish up your sightseeing early on the 3rd (Sun) so you can travel to Evora. 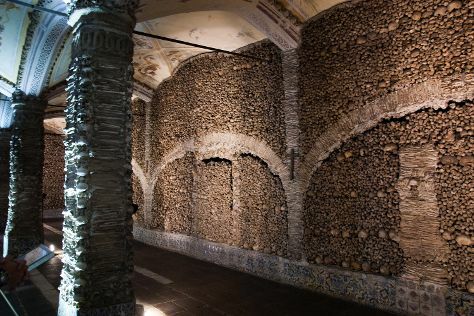 Kick off your visit on the 4th (Mon): deepen your understanding at Garcia de Resende Theater (Evora), take in the spiritual surroundings of Templo Romano de Evora (Templo de Diana), see the interesting displays at Aldeia da Terra, then contemplate the long history of Cathedral of Evora (Se Catedral de Evora), then don't miss a visit to Capela dos Ossos, and finally examine the collection at Megalithica Ebora. To see other places to visit, photos, and tourist information, refer to the Evora day trip planning app . Traveling by car from Beja to Evora takes 1.5 hours. February in Evora sees daily highs of 17°C and lows of 5°C at night. Wrap up your sightseeing on the 4th (Mon) early enough to drive to Fatima. Fátima is a civil parish in the municipality of Ourém, in the Portuguese Santarém District. Start off your visit on the 5th (Tue): examine the collection at O Milagre de Fatima - Museu Interativo, examine the collection at Centro de Interpretação da Batalha de Aljubarrota, contemplate in the serene atmosphere at Batalha Monastery, don't miss a visit to Shrine of our Lady of the Rosary of Fatima, then view the masterpieces at St. Andre Arte Sacra, and finally admire the masterpieces at Museu de Aguarela de Alfredo Roque Gameiro. For traveler tips, photos, other places to visit, and more tourist information, refer to the Fatima trip itinerary website . Traveling by car from Evora to Fatima takes 2.5 hours. Alternatively, you can do a combination of train and bus; or take a bus. Expect a daytime high around 17°C in February, and nighttime lows around 7°C. Wrap up your sightseeing on the 5th (Tue) to allow time to drive to Lisbon. 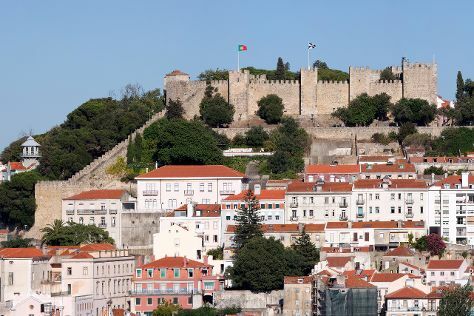 Kick off your visit on the 6th (Wed): steep yourself in history at Castelo de S. Jorge, take an in-depth tour of Carmo Archaeological Museum, take a stroll through Belém Tower, then contemplate in the serene atmosphere at Jeronimos Monastery, and finally get engrossed in the history at Igreja de Sao Roque. On the 7th (Thu), you'll have a packed day of sightseeing: examine the collection at National Tile Museum, then view the masterpieces at Museu Calouste Gulbenkian, and then visit a coastal fixture at Cabo da Roca. For other places to visit, where to stay, traveler tips, and tourist information, go to the Lisbon trip planner . You can drive from Fatima to Lisbon in 1.5 hours. Another option is to take a bus. In February, plan for daily highs up to 18°C, and evening lows to 9°C. On the 8th (Fri), you'll have the morning to explore before heading back home.